Create your own handwriting font and follow us on Twitter! 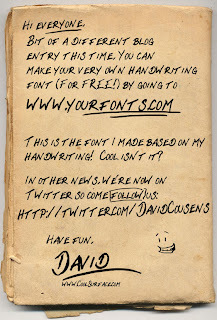 To read this blog post, just click the image, then come follow me on Twitter: http://twitter.com/DavidCousens ! Fans of the wonderful World of Warcraft should recognise this cute little fella. 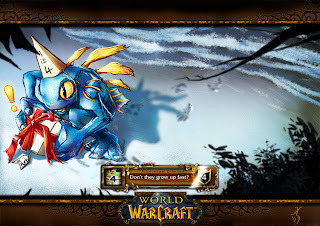 “Murky” is the star of this image which we created to celebrate WoW’s 4th birthday. Concept sketches for a comic book proposal written by a good friend of ours. 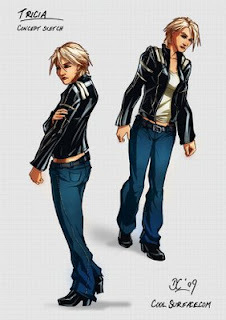 Unfortunately, other than telling you this character’s first name, that’s literally all we can say about this for now as it’s far too early to start spilling any beans just yet! 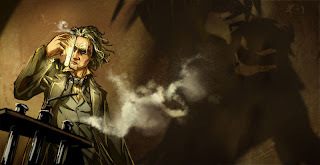 This is an image that we produced for an upcoming book about all things monster related, which is due to be released in 2010. We can’t really say much more on it, but once the book is released we’ll be revealing more details! Cool Surface Hits the Small Screen! Currently showing on Saturdays at 9am on BBC2 is a brilliant series called “Who Wants to be a Superhero?”, featuring a group of children who are competing as their self-invented superhero characters to win the opportunity to star in their very own comic book, written by the legendary Stan Lee. And if you tune in and watch carefully, you’ll see some of Cool Surface’s artwork popping up every now and again! We’re really pleased that we were able to contribute to this show, as we have great fun watching it. But secretly we wish that it could have been made about 15 years ago so that we could have been on it ourselves! You are currently browsing the Cool Surface Lite blog archives for March, 2009.